The forty-sixth Funambulist Paper, written by Nandita Biswas Mellamphy, closes this series of nine texts that invoke the philosophy of Gilbert Simondon (three of which were written by guest writers). 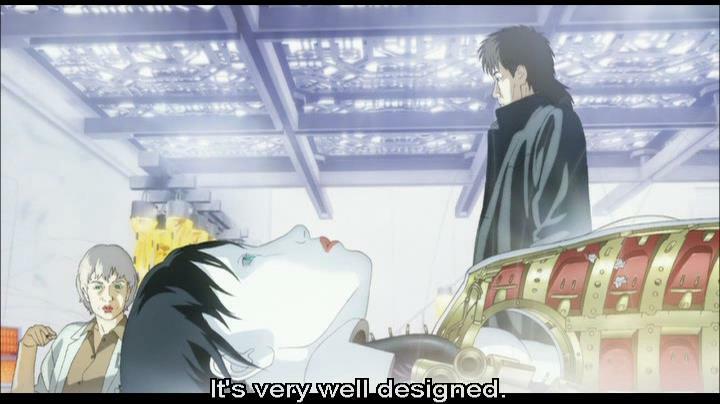 Entitled “Ghost in the Shell- Game: On the Mètic Mode of Existence, Inception and Innocence,” the following text proposes a reading of two films, Mamoru Oshii’s 2004 Inosensu (Ghost in the Shell 2) and Christopher Nolan’s 2010 Inception, through an anthropomorphized-but-never-humanized approach to machinic consciousness in the first case, and a machinic approach to human consciousness in the second one. Nandita therefore illustrates the blurriness of the limits that are usually set in between these two entities, when in fact neither the human nor the machine can be seen as essences. She goes as far as connecting the concepts mètis (which means crafty manipulation) and métissage (which describes the craft of intermingling and/or fabricating) to talk about the mode of existence of the technical object in relation to the mode of existence of the human being. The mètic, morever, is also the resident alien in ancient Greece, a similar situation for the technical object per Simondon which it convenes us to understand in order to construct new relational modes with/in it. I begin, then, properly, in and with the proper voice (that of Pierre Ménard). To begin, then, anew: The purpose of this study is to create an awareness of the significance of technical objects. 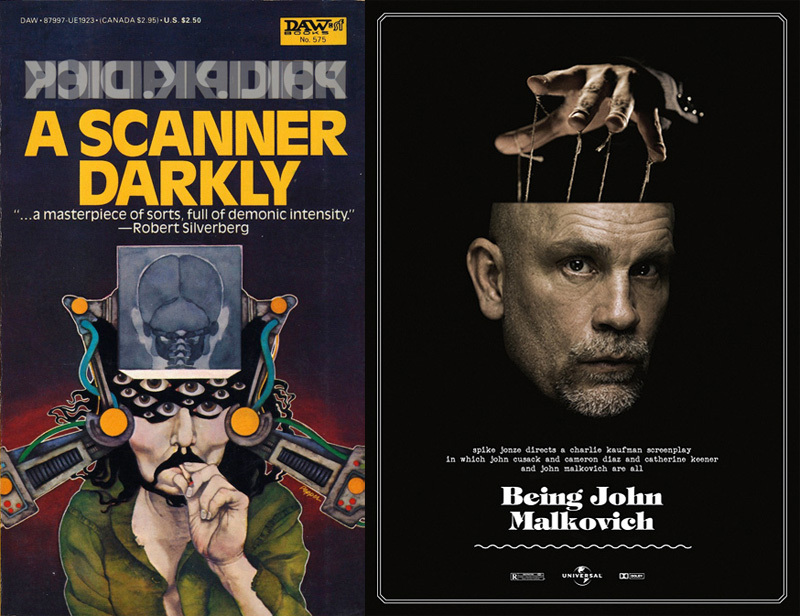 Culture has become a system of defense against technics; now, this defense appears as a defense of man based on the assumption that technical objects contain no human reality. We should like to show that culture fails to take into account that there is a human reality in technical reality and that, if it is to fully play its role, culture must come to incorporate technical entities into its body of knowledge and its sense of values. Recognition of the modes of existence of technical objects should be the result of philosophical thought, which in this respect has to achieve what is analogous to the role it played in the abolition of slavery and in the affirmation of the value of the human person. The opposition established between culture and technology, between man and machine, is false and is not well-founded; what underlies it is mere ignorance or resentment. Behind the mask of a facile humanism it hides a reality that is rich in human efforts and natural forces, a reality that constitutes the world of technical objects, mediators between nature and man. 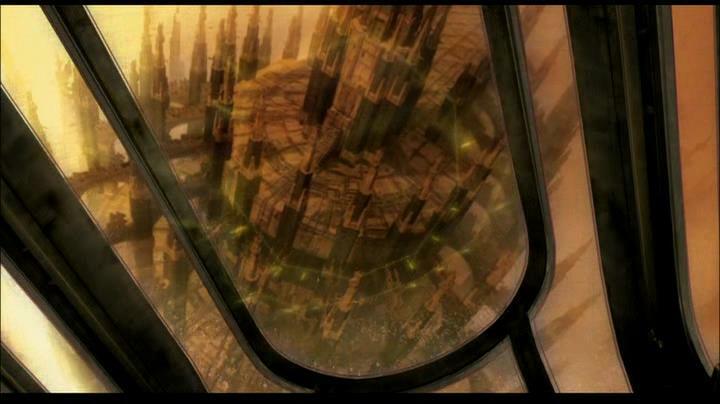 In Mamoru Oshii’s Inosensu (a.k.a. 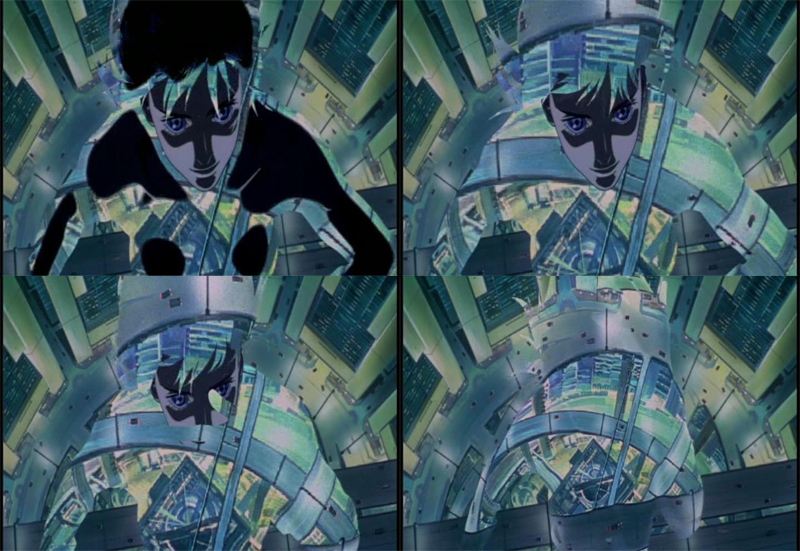 Ghost in the Shell 2), the inextricability of human and technical realities suggests that the established opposition between culture and nature, human and machine, is not only easily subverted, but ultimately so falsifiable that it can be technically manipulated so as to shed light on a dimension that remains indiscernible to humanism: that it is by way of technical objects and technical existence that human beings most authentically relate to their living milieu and to living processes. Humans play with dolls/automata/avatars and wear masks (faces, façades) as part of their everyday lives, but they are ultimately blind to the technical connectors that animate them: “Life and death come and go like marionettes dancing on a table. 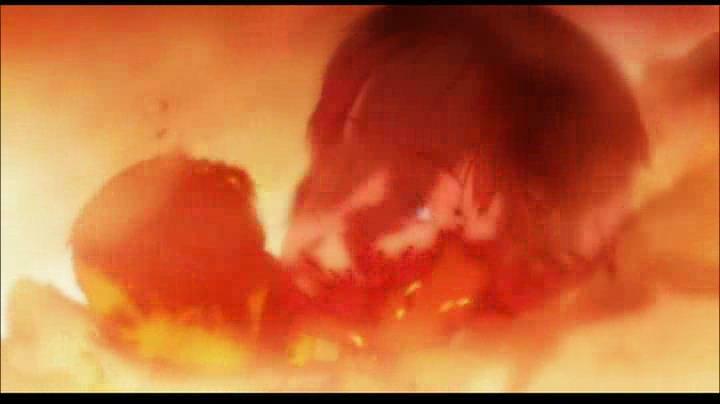 Once their strings are cut, they easily crumble” (Batō in Oshii’s Inosensu). 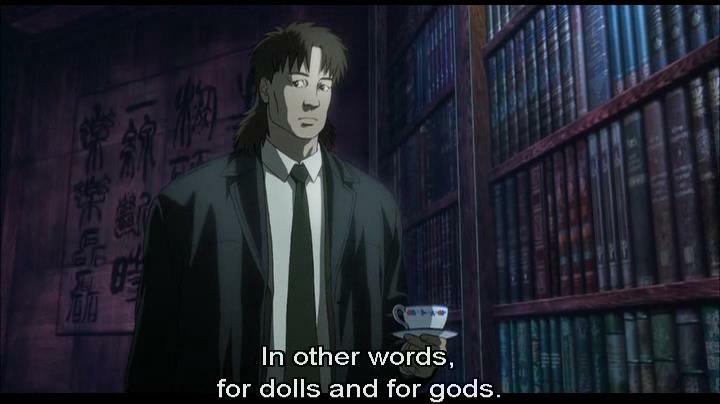 Echoing Kleist’s riveting claim that puppets are like gods, in Oshii’s film the technical object is, on the one hand, the tragic protagonist that must be liberated (very much as Simondon had envisioned in his introduction to METO), and on the other, already more liberated than the human. 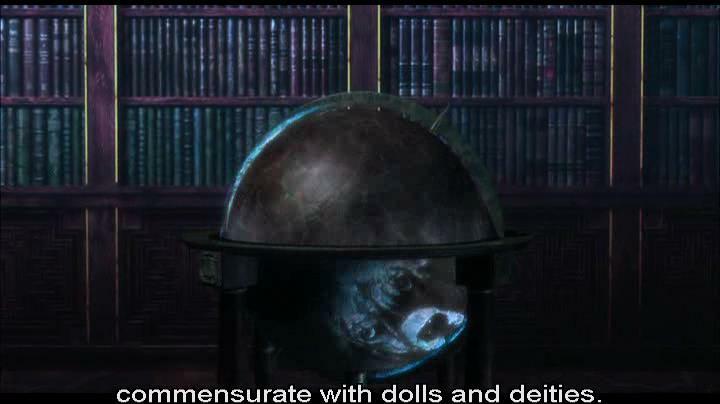 “The definition of a truly beautiful doll is a living, breathing body devoid of a soul […]. The human is no match for a doll in its form, its elegance of motion, its very being […]. 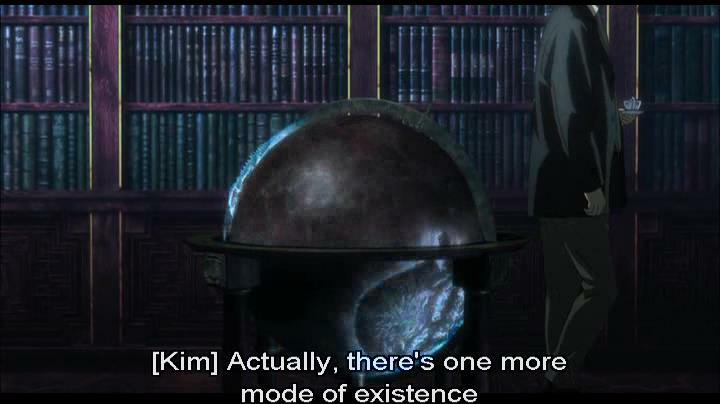 Perfection is possible only for those without consciousness, or perhaps endowed with infinite consciousness” (the renegade Kim in Oshii’s Inosensu). And yet humans use and abuse them, enslave them without a second thought. Humans have even transferred this logic of abuse onto other humans; according to the ancient Greeks, for example, the slave was an animal machine (this idea was later modified by Descartes) and therefore not governed by political laws and philosophical principles. “Humans get rid of robots as soon as they are superfluous or obsolete. When constantly exchanged for newer models, some of these machines find themselves abandoned, lost, and without proper maintenance, they degrade and degenerate […]. ‘Humans are different from robots’: this is as obvious as saying ‘black is not white’ or simply that ‘man is not a machine’[…]. But why this obsessive idea humans have to want to re-create themselves? […] In every age, children are excluded from the norms of human behavior (insofar as we consider ‘human’ a being having its proper identity and acting autonomously). But then what is a child that endures the chaos preceding maturity? 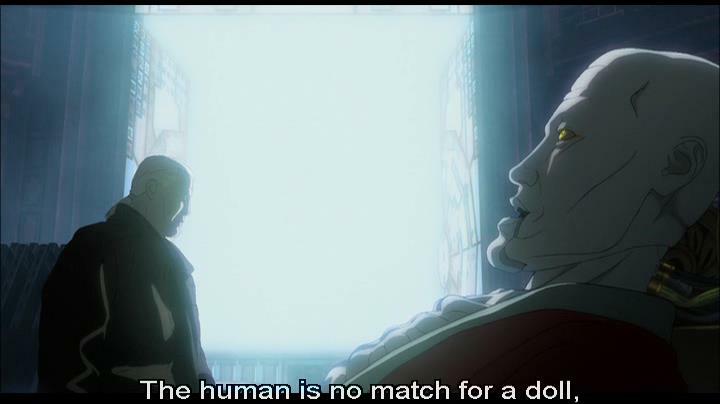 — It differs profoundly from ‘human’ beings while nevertheless possessing human form. A young girl who cradles her doll does not cradle a thing replacing a baby, nor an object of maternal apprenticeship.— Neither does she imitate a mother raising its child. No: she undergoes an authentic experience; she experiences the profound nature of what it means to raise children. Raising children is the simplest way to realize an old dream of humankind: that of creating life artificially” (Haraway in Oshii’s Inosensu). This is perhaps the ‘reality’ that is masked by the longstanding opposition between humanity and technicity, a reality that is supposed to constitute both the world of technical objects as well as the world of inner memory and subjectivity. “If the essence of life is information carried in DNA, then society and civilization are just colossal memory systems, and a metropolis like this one, simply a sprawling external memory” (Inosensu). In this view, the organic — including such metaphysical concepts as intentionality and identity — can no longer be conceived as separate[d] from its technical articulation and individuation. 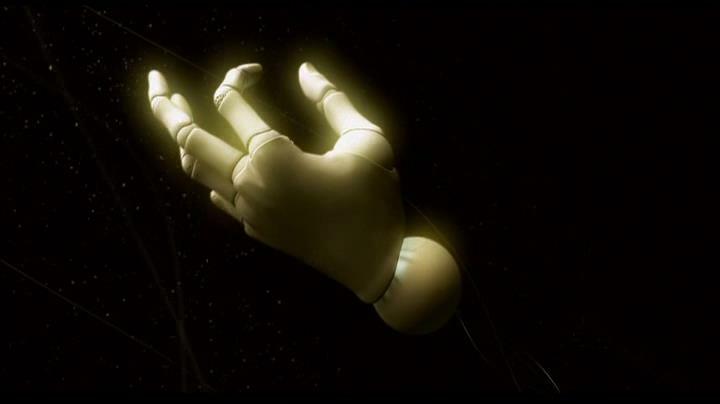 It is not that the body disappears in Oshii’s rendering; it is almost as if sexualization and gendering become ‘wearable’ technologies that can be tactically manipulated and recoded to produce further (often monstrous) avenues of individuation (it is well-known that Oshii was inspired by the grotesque dolls of Hans Bellmer; see Brown 2010). Whereas Inosensu explicitly questions the value of consciousness for an understanding of the human and humane (e.g. the most ‘human’ relationship in the film is between a cyborg and a cloned canine! 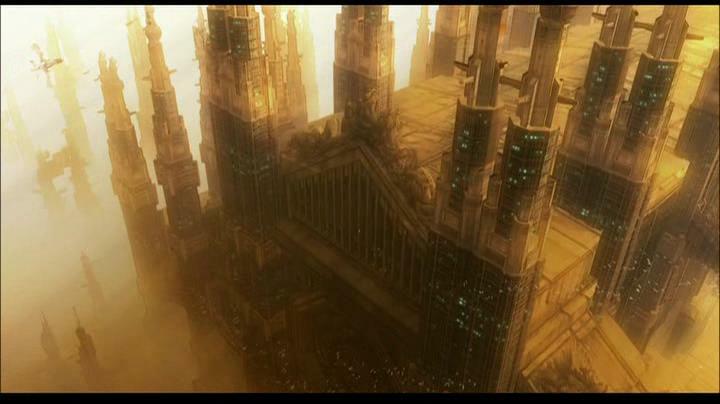 ), Christopher Nolan’s film Inception suggests that although consciousness is limited (that is, ill-equipped to process all the data streaming into it), it too functions by way of technical manipulation and artifice.— Our world is full of gaps, blank areas, dead-spaces, blind-spots, and the latter tend to be problematic for humans conceived in intentional and rational terms; but this is not the case for non-conscious/non-human operators, which in Oshii’s film are masters of mètic métissage (i.e. able both to make and maneuver in the ‘gaps’, ‘blanks’, ‘dead-spaces’ and ‘blind-spots’ of what could be called ‘aporetic architecture’). 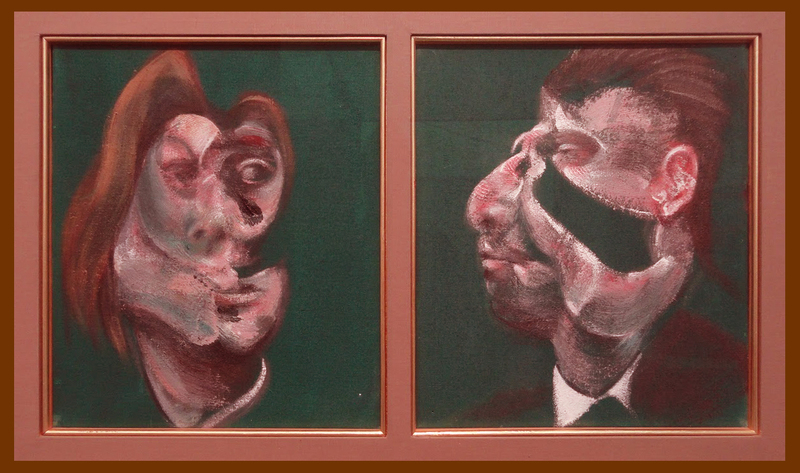 Just as Oshii’s anthropomorphic ningyō explicitly allude to Hans Bellmer’s dolls (which themselves transgress the human/machine boundary), so also Nolan’s depiction of the manipulability of consciousness in dream-states is inspired by the gestural art/artifice of Francis Bacon (“bringing us back by a commodius vicus of recirculation” to Anthropocosmogonic Vastupurushamanism): “I quite like the paradoxical nature of the [fact that] […] the less [Bacon] tells you about what’s there, the more I find myself thinking about [it]. [And] Because you never have the resources to fully create the world that you’re creating, you are leaving a lot of void — you’re leaving a lot of gaps — and so part of what you start trying to do is use those necessary gaps intelligently, so that where you’re not showing something, it’s helping you rather than [giving you a] feeling [of and for] the limitations of the world you’re creating” (Christopher Nolan, interviewed @ http://youtu.be/u1R4CFUxj9c?t=2m42s — 2m42s to 3m24s). 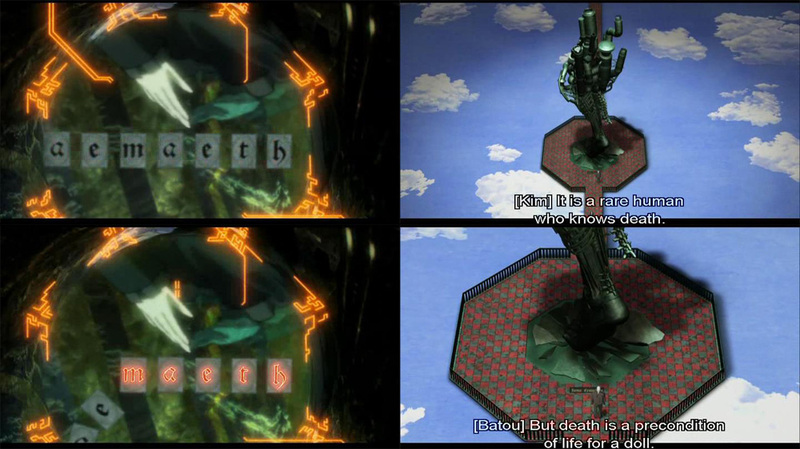 The kind of intelligence to which Nolan alludes here is not mobilized through intentionality, logical thinking, or the framework of logos (or indeed the search for capital-T Truth: a Truth beyond all deception[s]); instead it conducts, transducts, and instructs itself via randomness, aporia, kairos and mètic hexis (crafty cunning, mechanisms of manipulation). Throughout the labyrinthine twists and turns of the latter lies the question — and quest — of artifice (truth as deception, or if you like: “truthiness” — as the mètic master of and on televisual media, Sir Stephen Colbert, might have said). “They say we only use a fraction of the true potential of our brains […] but they’re talking about when we’re awake. While we dream, the mind performs wonders […]. In a dream your mind continuously does that: it creates and perceives a world simultaneously — so well, in fact, that you don’t feel your brain doing the creating. And that’s why we can short-circuit the process […] by taking over the creating part” (the con-artist Cobb in Nolan’s Inception). 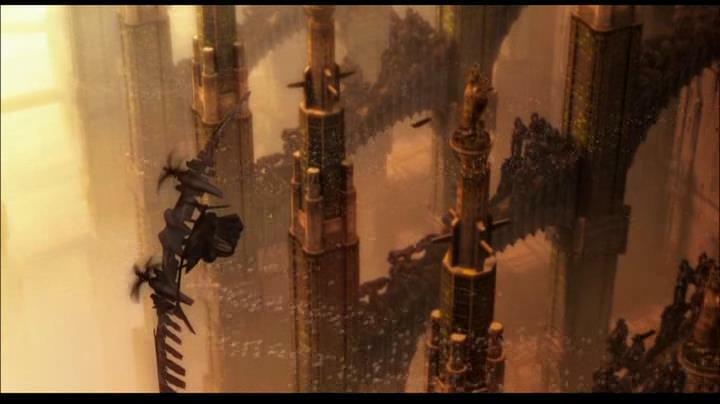 There is no “inception” without deception in Nolan’s film; not only can consciousness be deceived, it is always being deceived. The dream-state in Nolan’s film is a stochastic ‘field’ or ‘plane of immanence’ (and the “stochastic intelligence” described in Sarah Kofman’s treatise on Poros and Mètis): one which, as in Oshii’s vision of unconscious (‘pre’- and/or ‘post’-conscious) anthropomorphism, operates as a “perfect” and “dangerous” field of possibilities. Cunning intelligence, or the mètic mentality, is a mode of dissimulation (involving risk and play) that proceeds by way of skillful handling or manipulation, rather than by way of logos or ‘logical measures’ (e.g. logical speech and rationality); by “tricks [rather] than by general methods” (René Thom). This manipulation must always involve an artfulness — a ‘gaming’, even ‘gambling’ instinct — that creates opportunities out of the gaps and weaknesses in environmental informational resources: “challenging the fatalism of the moralist, the gambler is he who, in the face of no matter what situation, thinks that there is always something he can do” (Thom). For the mètic player, there is no ‘knowledge’ without the gaming ‘skill’ and ‘instinct’ of ruse, of cunning, and of acting at the decisive instance (indeed in the stance /movement-space and decisive-moment/instance) in order to accomplish a trick or truc. This is the attitude of the con-man who uses sleights of reason to perform sleights of hand: “that which, in the last analysis, justifies the gaming attitude is the fact that the only conceivable way of unveiling the black box, is to play with it” (Thom). These gaming skills are also the same used by the skilled hunter: corporeal agility including quick-wittedness (e.g. the dromikos of a skilled runner, the agrupnos of the vigilant watcher, the stochazesthai or keen eye of the great marksman) and skills of dissimulation (“the art of seeing without being seen” in the words of Détienne and Vernant). Mètic mentality is thus intimately involved with bodily conditions (hexeis; singular hexis; synonymous in many respects with the Sanskrit vastu — indeed vastupurusha — of Anthropocosmogonic Vastupurushamanism) which are themselves “indistinguishable from habits and practices” (Debra Hawhee). Dissimulation here is synonymous with dissimulative bodily states: “thought does not just happen within the body, it happens as the body” (Hawhee). Mètis always involves a métissage (Mellamphy 1994),† a [ghost-in-the-] shell-game involving pretense, the mixing and mixing-up of appearances and consistencies, corporeal quantities and qualities in order to be able to do something that gains advantage. Thus cunning intelligence since Greek antiquity has involved the ability to deceive by way of the technical manipulation of appearance and multiplicity (i.e. abilities to alter and morph bodily conditions or bounded physical states of any kind). The countless cunning conceits (polymètis), streaming series of stratagems (polymèchanos) and ubiquitous ‘U-turns’ (polytropos) of Ulysses, attest to the artfulness of a mètic mathematician who invokes the mathesis of mètis and its métissage[sse] when faced with “a puzzling local situation” for which ‘universal reason’ (logos, the logistics of ‘logic’) proves inadequate: “All the major achievements of mathematicians are due at the outset to ‘artfulness’: a paradoxical situation, for in mathematics — a science of exemplary rationality — progression is accomplished more by tricks than by general methods of great weight” (Thom). Articulating itself techno-mechanically (as polymechanoi) via cunning chthonic twists and turns (polytropoi) that polymètically pull[s]-into-being-or-action what which would otherwise remain mere potential, the architecture and architectonics of deception in Inception make technical use of traps, tricks, gestures, suggestions, forgeries, impersonations, mirror-reflections, staircases, labyrinths and other sorts of hooks and/or bait that play with the limitations of physical boundedness. The team of technicians qua assembled con-artists consists of agents whose functions in Nolan’s Inception are those first of confusing construction (for “the architect” Ariadne, the web-spinner), second of drug-decoction (for “the [al]chemist” Yusuf, le souffleur), third of impersonation (for “the forger” Eames, the not-what-ˢhe-seems), fourth of the watcher and gatekeeper (for “the watcher and gatekeeper” Arthur, rounding-out the four-square round-table), and fifth — quintessentially, as the pempte ousia in the midst of the previous four-square/round-table — of “inception” and/or of “extraction” (for “the Inceptor” and/or “the Extractor” Mr. Cobb, a husk of a man who manages to infiltrate — incept-and/or-extract — other men’s husks in this splendid shell-game). The “inception” or “extraction” always begins with an aporetic architectural diagram/yantra, in this case that of a circular maze: a labyrinth explicitly situated outside the domain of logos, as the character Cobb confesses to the architect Ariadne (these deceptive designs and their mètic métissage are “not, strictly speaking, legal,” he tells her). Deception is embodied from the outset in that aporetic architectural design, diagram, mandala or yantra, which is gestural in that its aim is less that of representation and expression than that of suggestion and impression. “This architectural technique, the yantra (‘literally the ‘vessel of yoking’: [the] device, sacred diagram, [that is] the Foundation of the temple’ according to the Vastu-Shastra), ‘do[es] not consign the Figure to immobility but, on the contrary, render[s] sensible a kind of progression, an exploration of the Figure within the place or upon itself’,” wrote Dan Mellamphy in the previous week’s Funambulist Paper (referring in this passage to Stella Kramrisch, Gilles Deleuze, The Vastu-Shatra and The Logic of Sensation). 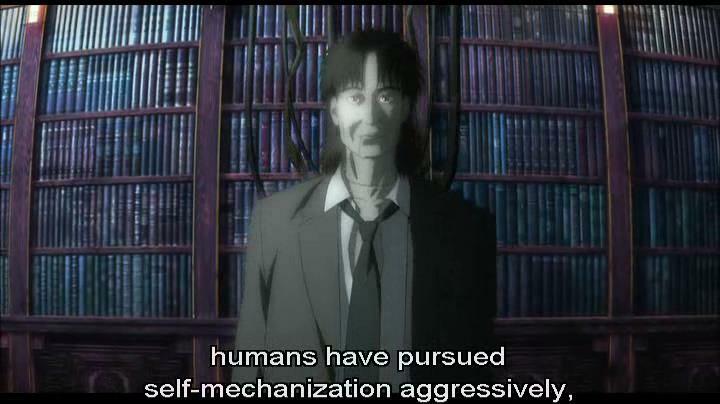 Like Oshii’s sublime puppet animated by its strings (strings that intertwine its ‘Figure’ with its milieu and/or ‘Ground’), mètic mentality is manifest and/or ‘bodied forth’ in the tricks and traps of paradoxical or aporetic architecture. Body becomes the interface of Figure and Ground, at times appearing distinctly as Figure, and at times remaining indistinguishable from Ground (hence becoming its associated milieu). The mètic mentality relies on its technical finesse, on its ability to invent ways out (poroi), ways of getting out of aporias (spaces in which there are no apparent ways out): “Where indeterminacy (apeiras), reigns [there is] the absence of limit and direction — obscurity; where you are trapped, surrounded, prisoner of inextricable entanglements, it is mètis that intervenes — inventing strategies, expedients, tricks, ruses, machinations, méchanè and technai, in order to go from absence-of-limit to determination, from obscurity to light.” Within logos, reality is understood to be involved in a complex dynamic of appearance and disappearance, making ‘truth’ a process of ‘unconcealment’; the pursuit of ‘truth’ becomes synonymous with the systematic separation and exclusion of deception from knowledge. But from the mètic perspective, the complex dynamic is understood completely differently; it is the perspective required of the hunter/gamer who must survive not by logic but by cunning. Consciousness, intentionality and experience ‘turn out’ to be constructs within a fundamentally deceptive environment of asymmetrical conflict between predator and prey. Dissimulation, the “ability to see without being seen” (Détienne and Vernant), depends entirely on seizing decisive moments (not on chronos or æon but on kairos) and on making them tactical weapons, moreover, within a theatre (or network: a ‘net’) of predatory operations. In Inception, the mètic operants act as ‘hunters’ within a mètic theatre of operation — the target’s subconscious — but the mètic operant must also see itself as ‘hunted’, as bait for the traps of other mètic operators (e.g. in Inception, the ever-threatening “projection” of Mal, Cobb’s dead wife — yet another ghost amongst shells). In the dream-state, any awareness or self-consciousness is always constituted by deception and illusion, and so self-consciousness is haunted and tainted by self-deception and the mentality of traps: are ‘you’ who ‘you’ think you are? How are ‘you’ lure or bait for something else? The mode of existence of technical objects is mètic. Inception plays out a mètic view of asymmetric war between deceptive operants in a deceptive milieu of operation. Although it employs and deploys both military and political tactics, the mètic model of asymmetric war (based on predator/prey ecology) is not inherently military or political if one considers the close relation between agon and logos in occidental thought (the struggle — agon — between equal opponents being the basis both for the military and the communicative/political ethics). The face-to-face contestation between equal opponents in war is also the model/disposition of political association that enables the intertwining of various logoi, and hence making possible public dia-logoi or dialogue. Logos governs the logic of war and political association in the history of the occident. Mètis, in contrast, is the mode of intelligence and of existence that belongs not to war or the city but to technics, namely the machinations of hunting and trapping (not symmetrical and agonistic but asymmetrical and deceptive). The persuasive techniques of mètic war would thus be found not in deliberative/communicative political models and strategies, but instead in the manipulative tactics of marketing and public relations (in my current book manuscript The New ‘PR’: Post-human Rationality in War, Cognition & Culture, this is the basis for what I am calling the New ‘PR’ of post-human rationality in contemporary modes of technical persuasion). Mètic warfare, which manipulates the boundaries of classical warfare (e.g. the military logic/logistics of defining a ‘theater of war’) thus plays on æsthesis and depends on manipulative, technical tools rather than on logical/dialogical principles (be these in the guise of military ‘reason’ or communicative ‘ethics’). 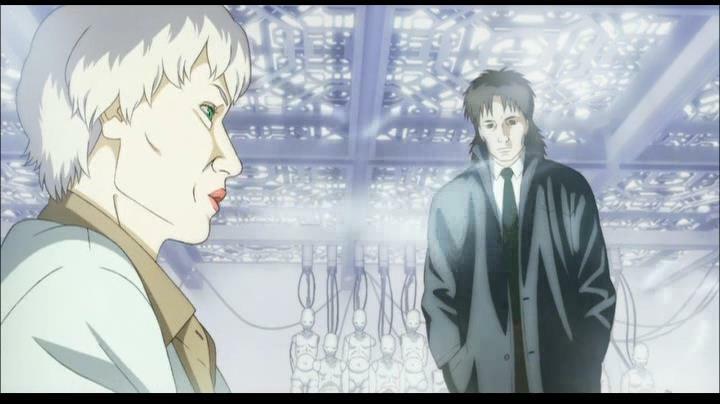 Where logos sees ‘minds’ and ‘bodies’, the technics of mètic war (like the marionettes of Kleist and Oshii) see[s] ‘shells’ animated by ‘ghostly strings’ that are inextricably bound to a broader (albeit obscure or occluded) associated ‘machinic milieu’. To consider war and politics from the perspective and on the basis of such mètic mentality is to discern it from a technically anthropomorphized but never quite humanized (human-all-too-human) perspective. 1.Jorge-Luis Borges, Pierre Ménard, autor del Quijote (Sur 56, 1939, pp.7-16). 2.Gilbert Simondon, quoted in http://twitter.com/theorycentre/status/389084619871514624 (a Centre for Peripheral Theory/CPT twitter-post). This passage, however, is not “quoted” here — in the name, again, of Pierre Ménard — see the previous note, immediately above this one. 3.Footnote 8 (∞) of The Funambulist Papers’ previous Anthropocosmogonic Vastupurushamanism (https://thefunambulist.net/2013/11/21/the-funambulist-papers-43-av-anthropocosmogonic-vastupurushamanism-by-dan-mellamphy/#8); the present paper, in certain respects, emerges from (and extends) that Footnote, as well as (emerges from and extends) an early essay by that very same author, written when the latter was about to begin his mètic master’s degree (M.A.). 5.Heinrich Kleist’s Über das Marionettentheater (1801; online translation @ http://www.southerncrossreview.org/9/kleist.htm). 6.Gilbert Simondon, Du Mode d’Existence des Objets Techniques (Paris: éditions Aubier, 1958), trans. Ninian Mellamphy, Dan Mellamphy & Nandita Biswas Mellamphy (On the Mode of Existence of Technical Objects, 2010, available online @ http://www.academia.edu/4184556). 7.Book One of Aristotle’s Politics, Chapters iv-vii. Georges Canguilhem, Simondon’s teacher, incisively articulates the set of questions that arises when considering the opposition between nature and culture, human and technical object, master and slave as developed by the ancient rationalist tradition: “The slave, according to Aristotle in the Politics, is an animated Machine. This is the crux of the problem to which Schuhl only alludes in passing: Did the Greek conception of the dignity of science lead to their disdain for technique and the resultant paucity of inventions? And did this in turn lead to the difficulty of applying the results of technical activity to the explanation of nature? Or, rather, did the Greeks’ high regard for purely speculative science and detached contemplation explain the absence of technical invention? Did their disregard for work cause slavery, or did the abundance of slaves due to military supremacy explain their low regard for work? Are we obliged to explain the ideology in terms of the socioeconomic structure or, rather, the socioeconomic structure in terms of the ideology? Did the ease of exploiting human beings make it easier to disdain the techniques that would allow them to exploit nature? Does the arduousness of exploiting nature justify the exploitation of man by man?” (‘Machine and Organism’ in Incorporations: Zone 6, eds. Jonathan Crary and Sanford Kwinter (New York: Zone Books, 1992), 49. 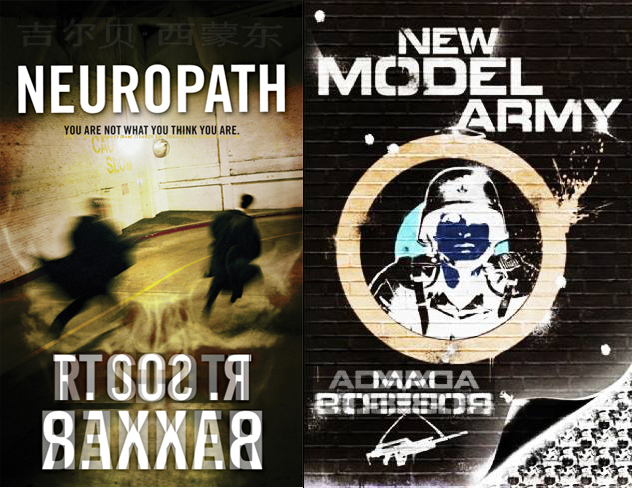 9.Steven Brown, Tokyo Cyberpunk: Posthumanism in Japanese Visual Culture (New York: Palgrave Macmillan, 2010). 11.Steven Brown, ibid. 23; and the passage from Bellmer’s Petite Anatomie de L’Inconscient Physique, ou L’Anatomie de L’Image quoted in Footnote 19 of The Funambulist Papers’ previous Anthropocosmogonic Vastupurushamanism (https://thefunambulist.net/2013/11/21/the-funambulist-papers-43-av-anthropocosmogonic-vastupurushamanism-by-dan-mellamphy/#19). 12.Christopher Nolan, interview (http://youtu.be/u1R4CFUxj9c?t=2m42s — 2m42s to 3m24s; c/o http://twitter.com/youtopos/status/406472726992265216 viz. “the Baconian Gesture” of “Nolan’s Vastupurushaporetic-architecture”; Re: those gaps, blank areas, dead-spaces, blind-spots, also see http://www.academia.edu/4184538). 15.Sarah Kofman, Comment s’en sortir? (Paris: Éditions Galilée, 1983), 14. 16.René Thom, Modèles Mathématiques de la Morphogenèse (Paris: Union Générale d’Éditions, 1974), 300. 18.“A truc in French” is “a tricky little ‘device’, ‘gizmo’, ‘gimmick’ or ‘thingamajig’; machine translation, http://translate.google.com/#fr/en/truc” (Dan Mellamphy and Nandita Biswas Mellamphy, ‘From the Digital to the Tentacular, or From iPods to Cephalopods: Apps, Traps, and Entrées-without-Exit’ in The Imaginary App, eds. Svitlana Matviyenko and Paul ‘DJ-Spooky’ Miller (Cambridge: The M.I.T. 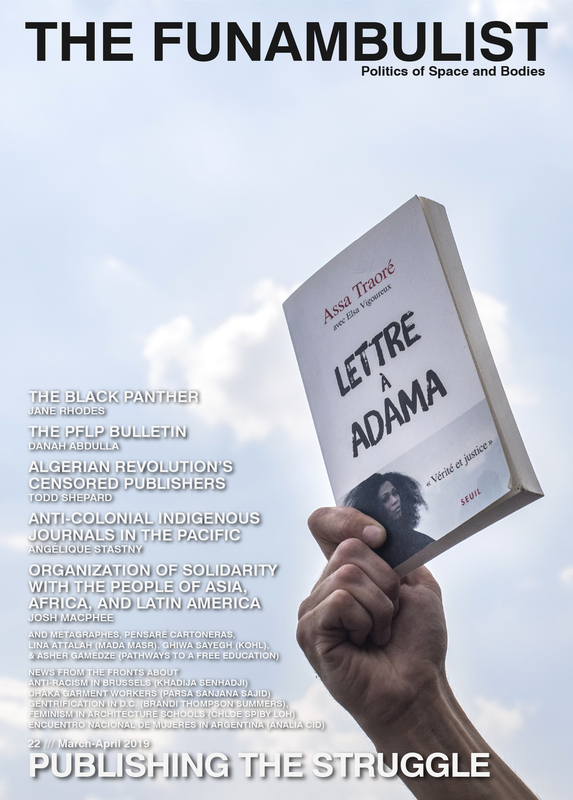 Press, forthcoming). 19.cf. Mary Beth Mader, Sleights of Reason: Norm, Bisexuality & Development (New York: SUNY Press, 2011). 21.Marcel Détienne and Jean-Pierre Vernant, Les Ruses de L’Intelligence: La Mètis des Grecs (Paris: Flammarion, 1974), 35, 36. 22.Debra Hawhee, Bodily Arts: Rhetoric and Athletics in Ancient Greece (Austin: University of Texas Press, 2004), 58. 23.Hawhee, ibid. 58. Mellamphy, http://www.academia.edu/4185250. 24.Détienne and Vernant, ibid. 39. 26.cf. Dan Mellamphy, Anthropocosmogonic Vastupurushamanism (https://thefunambulist.net/2013/11/21/the-funambulist-papers-43-av-anthropocosmogonic-vastupurushamanism-by-dan-mellamphy). 30.Détienne and Vernant, ibid. 36 (http://twitter.com/lnakamur/status/330412642499969024)[http://twitter.com/lnakamur/status/330411782348873729]. 31.This is a point also made by Grégoire Chamayou: “hunting presupposes a form of empathy with the prey: to track prey effectively, one has to put oneself in its place.” The hunt is “not a fight among equals.” Manhunts: A Philosophical History (New Jersey: Princeton University Press, 2012), 65. 32.Take for example the concept of ‘asymmetric enemy’; see Gal Hirsch, ‘On Dinosaurs and Hornets: A Critical View on Operational Moulds in Asymmetric Conflicts’ in the RUSI Journal, August (2003): 60-63. 35.“Although anthropoid,” it cannot be considered “human”—“hence René Schwaller’s observation that it can be ‘anthropomorphized but never humanized’ (1957, 27; emphasis in the original); Kollar calls it ‘superhuman’ (2001, ix), and indeed it is in many respects Übermenschlich”—its conflictive coherence and cohesion is “a unity ‘incorrectly deemed human’;” cf. http://www.academia.edu/5110304 and http://www.academia.edu/4185540 (D. Mellamphy’s ‘Anthropocosmogonic Vastupurushamanism’ and ‘Sorcerer’s Magic Milieu’).